It is exciting to see a bridal gown become a dress that belongs to you. 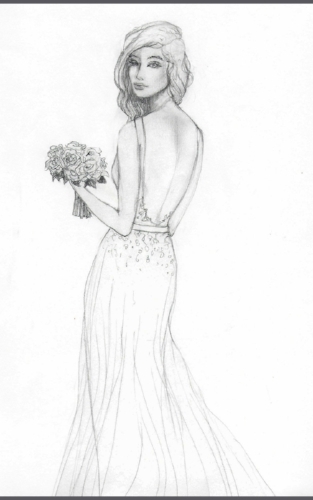 When the bride comes in for her appointment we evaluate all aspects of her dress in order to achieve a great fit. ⦁ How does the bust of the dress fit your own? Do we need to build a bust support for a backless or strapless gown? ⦁ Does the waist of the dress fit your own? Is it placed to fit your natural waist or is it meant to sit low on your waist and create an elongated silhouette? ⦁ Do we want to take the dress in at the hips and at the knees to create a curvy silhouette? Those are some questions we keep working on to bring out the best fit while keeping the style and the feel of the dress, as if it were untouched.